With few exceptions, the first few months of a year are typically pretty slow for the video game industry. The most gamers can usually hope to receive in January and February are some delayed titles leftover from the holiday rush. As silly as it sounds, developers and publishers have historically preferred to release all their major games all at once during peak buying seasons. This year is a little different, however. This year, we’ve already experienced a host of titles that will be remembered as some of 2017’s best. Impressively, many of these games are exclusive to the PlayStation 4; a system that is having it’s best year ever. It sounds silly to say that the best selling modern console in the world is having its best year ever when it’s not even March yet, but it’s hard to deny that is the case. The fact that you can even make a case for this being the PlayStation 4’s best year yet two months into said year is impressive in and of itself. Technically, Sony’s success can be attributed to exclusive PlayStation 4 games like Yakuza 0, Resident Evil 7 VR, Nioh, Gravity Rush 2 and Horizon: Zero Dawn as well as the somewhat surprising success of the PlayStation 4 Pro and PlayStation VR. However, those are really just by-products of the real reason the PlayStation 4 is having a banner year. The success of the PlayStation 4 in 2017 can instead be attributed to the fact that Sony seems to be the one console manufacturer at the moment that has made the success of their console line a priority. To be perfectly honest, Sony’s overall business is not doing so well at the moment. The company’s old investments in failed product lines combined with their inability to jump on emerging technological markets has left the future of many of their operations in doubt. While this state of affairs is a bad thing overall for Sony, it happens to be the best thing that could have ever happened to PlayStation fans. The PlayStation 4 and the PlayStation 4 Pro are unquestionably the most successful products Sony has on the market at the moment, and Sony is treating them as such by giving their PlayStation line their full support. Compare this to Microsoft who are still obligated to treat Windows 10 as a priority and who have business interests that go well beyond the Xbox One or the upcoming Project Scorpio. Microsoft may want their video game division to be a success, but they depend on it to be one. As for Nintendo, they’re starting to learn that they can be a little complacent and still meet expectations. They’re also starting to learn that developing mobile games might be far more lucrative than developing console games. While Sony’s future doesn’t rely entirely on the success of the PlayStation 4, it is the best thing they have going. As such, they are going out of their way to invest in exclusive games, develop potential future technology, and retain the love of their fans while acquiring new ones. So long at they continue to do so, the PlayStation 4’s greatest year is only going to get better. Previous Previous post: Martin Scorcese’s ‘The Irishman’ on Netflix: Is This Even Something We Want? Proverbs 15:22 (ASV) Where there is no counsel, purposes are disappointed; But in the multitude of counsellors they are established. 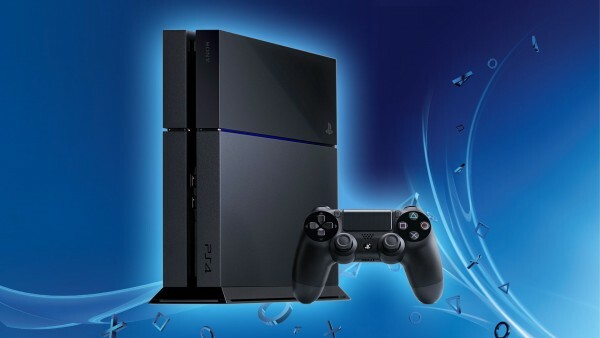 THE PS4 was built based on the many advice of game developers. Kaz Hirai is the CEO they needed. He stabilized the company and made an incredible turnaround. It’s already been a great year for PlayStation fans and things will only get better.